How are Rigid and Flexible Pipe Couplings Different? 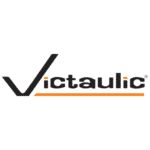 Did Victaulic invent the first grooved mechanical pipe coupling? The invention of the first grooved mechanical coupling was intentionally a flexible pipe coupling. In the early 1900s, there were four prominent industries that gained benefit from an alternative pipe joining method to their rigid options and paved the way for this game-changing innovation. In summary, the first grooved mechanical pipe coupling was a flexible pipe coupling because that’s where the most need was. It wasn’t until the late 1950’s when the manufacturers of the day saw an opportunity emerging in the oil industry for a high-pressure rigid pipe coupling. Because of the nature of flexible pipe couplings, systems that utilize a large number of them will need additional supports and ways to accommodate or prevent the linear expansion of the system when pressurized. Certain high-pressure oil applications didn’t need the flexibility, extra supports or linear expansion accommodation, but they did like the installation speed, which led to the invention of the first high-pressure, grooved rigid pipe coupling in 1957. Jump forward to the 1980s, where we see the emergence of the first lower-pressure, grooved rigid pipe coupling designed for use on standard weight and light wall carbon steel, and with that, an opportunity arose for grooved mechanical pipe couplings within the commercial construction industry. What is the difference between rigid and flexible pipe couplings? Grooved flexible pipe couplings allow for controlled linear and angular movement, which accommodates pipeline deflection as well as thermal expansion and contraction. Dimensions of the pipe coupling key are narrower than the groove in the pipe, providing room for the coupling key to move within the pipe groove. La largeur du segment de collier de tuyau flexible permet la séparation des extrémités du tuyau, laissant ainsi la place à un mouvement linéaire et angulaire contrôlé. When movement forces are induced, the flexible pipe coupling remains a self-restrained joint, and the pressure-responsive gasket design provides positive sealing even during piping system movement. Grooved rigid pipe couplings do not allow for movement, similar to a rigid flanged or welded joint. Les systèmes de tuyauterie assemblés avec des colliers rigides rainurés ont les mêmes exigences en matière de suspension et de support que le soudage ou le filetage rigide, alors que les systèmes dotés de colliers flexibles rainurés peuvent être intimidants car leur exigences en matière de suspension et de support sont supérieures de même que les possibilités d'adaptation ou d'élimination de l'expansion axiale causée de la pression. Why is it important to understand the difference between grooved rigid and flexible pipe couplings? It’s important to understand the difference between grooved rigid and flexible pipe couplings because while pipe couplings look similar and fit the same groove profiles, their performance is remarkably different and engineers need this information so they can design and make movement accommodations that differ from a rigid welded or threaded system. Can you spot the flexible pipe coupling in this side by side pipe coupling comparison? What is hard to see in the below side by side comparison of two grooved mechanical pipe couplings is much easier to spot once a series of grooved flexible pipe couplings are installed. This now noticeable difference (in the image on the left) reinforces the notion that accommodations in engineering designs for mechanical piping systems must be understood and addressed appropriately. Why should I choose to install my piping system with grooved mechanical pipe couplings vs welding, flanging or threading? The value that grooved flexible pipe couplings bring to a mechanical piping system is that they provide a simple, flame-free and spark-free pipe joining method while simultaneously providing value engineering in that they act as an appropriate and effective replacement for specialty movement compensators. As a bonus, there is proof that Victaulic couplings also reduce pipe noise and pipe vibration and they do it better than traditional equipment vibration attenuation solutions. Read more about that here. 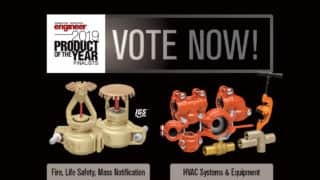 If you are looking for a faster, easier and safer way to join pipe with all of the necessary rigidity benefits, plus the added value of leveraging flexible pipe couplings as a joining method and eliminating specialty movement compensators, then you should choose to install your mechanical piping system with mechanical pipe couplings over other joinings. But if you do, remember that piping systems featuring grooved flexible pipe couplings have unique design requirements. Consult the manufacturer when needing design assistance. Check out who is benefiting from choosing Victaulic Solutions for their mechanical piping system projects.